Today I decided to get cracking and put some performance videos online. My goal is try and whip something together as often as possible. I finally got an old iphone 4s, FilmicPro app, Fostex AR-4i, and a place to put the stuff and record. It’s kind of crazy getting everything setup and to record right, but I’m happy with at the very least getting something onto video. I’m fascinated with how 99% of Youtube musicians record without mistakes. Not mine..laugh. I’ll be uploading raw footage and hopefully improve over time. Plus gear I post on my blog here will likely pop up over time. Perhaps this will also inspire other musicians on the fence to just bite the bullet and record video jams for fun. The other day I picked up a Yamaha TG500 and I’m in love with the drum sounds this box makes. I’m a big fan of 80’s music, but I also really like the club dance and New Jack Swing grooves of the late 80’s and early 90’s. I know the M1 was used a lot for this sort of stuff, but I particularly like the collective sound options of the TG500. I heard it was used extensively from about 1992 for dance and club music. It works very well for that. 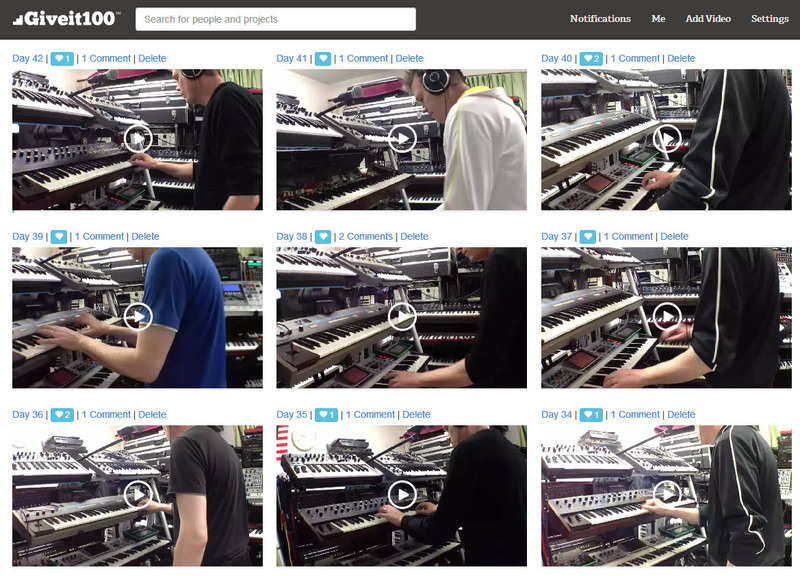 In the video I am recording with the Roland Fantom X6 sequencer. I actually also have an X7 and an XR because I like the sequencers the best on the Fantom X series workstation. As you can see I can live loop and record without ever stopping the Fantom X. I can also change tracks, record, erase, mute, and adjust a wide array of parameters on the fly. The entire video is completely improvised and recorded without any initial thought at all….laugh. So, mistakes are included and one might find it interesting on how I can erase and record the tracks again without stopping. Note that there is absolutely nothing wrong with stopping, but it’s just my workflow and how I like to keep things going. In the video you’ll see me holding down notes a few times which is actually a way to erase notes within an rage of keys on the Fantom X6. The Yamaha TG500 audio is sent to a Roland M12E 12 Channel Mixer which I use for my main synth mixer on stage. I absolutely love it! The M-12E then goes into the input jack of the FOSTEX AR-4i of the iPhone 4s. The TG500 is in Multi-Mode so that I can access sounds across 16 channels via the Fantom X6. Volume can be controlled on the X6, but in the video I kneel down to adjust the volume on the TG500. I actually didn’t program the Multi-Patch used in the video, rather I just used a preset multi. I found the volume between patches to vary which is a common annoyance of the TG500. It runs hot audio wise and I’ll have to adjust the volume beforehand. I really like the Yamaha TG500 quite a bit. ALL of the sounds are musical and quite usable. I’m really going to enjoy creating grooves and using the TG500 with songs in the future. No doubt it will likely get a permanent spot in my rig because it is so incredibly useful. I highly recommend it if you are looking for some fresh sounds. Now that might sound strange since many think the TG500 is dated. I have to laugh a tiny bit because when I went through the sounds upon initial inspection, I practically didn’t recognize any of the sounds. They were all great and I felt could be used for almost any situation. Thus in my fine it sounds pretty fresh. The TG500 also allows you to import up to 1MB of your own samples to create new patches as well which is great just like the Yamaha RM50. Let’s see if I can do a sketch a day for 30 days…laugh. Singing will be included. I didn’t have my mic setup for recording in this video. I like to add lyrics and vocal bites to jams. The new V-Synth with the Vocal Designer card is great for this. I’m anxious to integrate that next time.